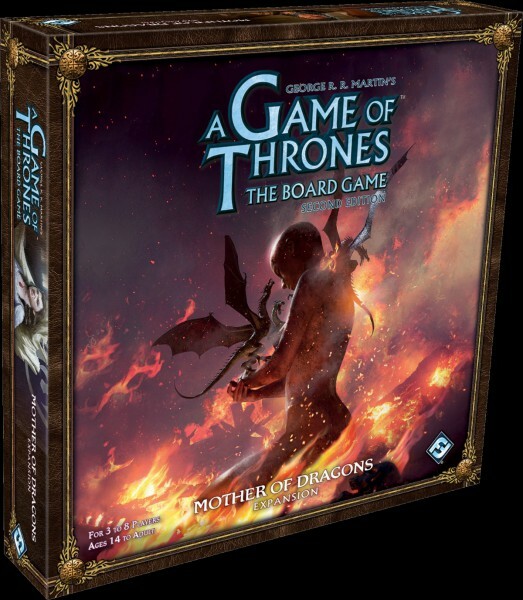 Produktinformationen "A Game of Thrones: The Board Game (2. Edition) – Mother of Dragons Expansion"
Clawing their way into power, this expansion includes a side board of the Free Cities of Essos and an overlay of the Eyrie, as well as new characters and mechanics to bring House Targaryen and House Arryn into the fray. As you make your claim to the Iron Throne, you can call other Houses to your cause with the new vassal mechanic, or even ask for aid from the Iron Bank of Braavos. But be cautious, for the Iron Bank will have its due, and if your campaign proves to be a poor investment, the money lenders' retribution will be swift..
Weiterführende Links zu "A Game of Thrones: The Board Game (2. Edition) – Mother of Dragons Expansion"
Kundenbewertungen für "A Game of Thrones: The Board Game (2. Edition) – Mother of Dragons Expansion"